Marcela del Sol is an Australian author and a humanitarian activist. She bravely fights for eradicating stigma associate with mental conditions and children’s well being. Del Sol solely organizes, finances and delivers art workshops to empower vulnerable girls to grow as self-assured women. Marcela is a Mum to two beautiful children. Marcela suffers Dissociative Identity Disorder, also known as multiple personality disorder and she has recently launched a new book., co-written with some of her alters. 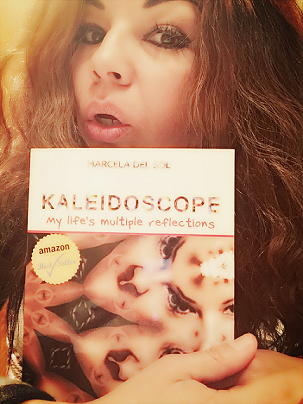 Del Sol’s new book, Amazon best-selling “Kaleidoscope: my life’s multiple reflections” will take you, through an array of sexually charged and emotionally diverse stories, on the challenging, intriguing and desperate world that living with DID is. Marcela has created fictional stories based on her own experience living with DID and the result, although not a “light read” is extremely engaging and informative as well as moving.